Moving to Delhi - Compare International Movers & Save up to 70% ! Moving to Delhi, India? You are probably going to need a company specialized in international moving before you decide what to pack. Intlmovers is one of the most convenient moving services to help you plan an international move and gather moving quotes. Intlmovers is an online quotation comparison service that is completely free. You can compare moving quotes and get the best price! Using Intlmovers is one of the easiest ways to find the right international mover to compare moving quotations. Submit a moving request form for Delhi. Your moving information is immediately forwarded to up to six international moving companies. They assist you with a quote or any questions you may have about how to pack for your move to the India. They will make contact with you directly in order to arrange a customized quote for your Delhi move. Requesting a number of quotes in a single request helps you prepare a moving budget. And get an idea of the services available. You don’t have to call movers or fill out multiple international move quotations separately. You save money not only by comparing their quotes. You can sample different services and related cost to your move. The best part about using this service is that you can use Intlmovers without any obligation whatsoever. You only accept quotes that you are completely satisfied will meet your moving requirements! 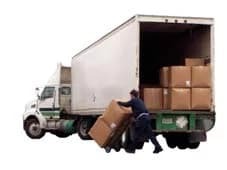 The international moving companies have years of experience with moves to Delhi. Delhi India is the capital province if India and second largest city after Mumbai. It has over 16 million people living in its province. Delhi ranks 8th in the world’s largest cities. Delhi is India’s capital city and commercial center of the country. The climate is humid subtropical in this part of India. Summers can be long and hot and start in April and last till mid October with monsoon in between. Expect average summer temperature to be between 20°C/ 71°F in the winter to 33°C / 90°F in the summer with high humidity. Delhi’s large commercial center has attracted international business taking advantage of its highly skilled labor force and lower employee wages. The economy is largely comprised of IT, Telecom, power and energy, medical and manufacturing. India has consistently made large improvements to its education, medical research and infrastructure making it attractive and ideal for international companies to expand their businesses. Delhi is a wonderful place for those that like city living, but it’s no ordinary city. Delhi’s streets are filled with historic sites, temples and structures left behind by numerous empires that had once laid claim to this magnificent city for centuries. 175 Monuments or locations listed on the Unesco World Heritage list lay within Delhi’s streets. Delhi is a rich cultural city to taste, see, and experience. City festivals are a must see must experience. Several events that take place include Independence day, Republic Day and Gandhi Jayant but other religious celebrations are celebrated year round as well. Expect to see shrines covered in flowers as the colors of India spill across the city. Delhi has every modern convenience and comfort for every budget. But this bustling city is for the adventurer who loves to try and taste live in somewhere new. All it takes is you. Transport tips – Traffic can at time be impossible and risky and the use of taxis are a cheap option. Tell the driver your destination and negotiate your price upfront or ask to see their tariff card first. People who don’t do this often get cheated on the fair. Get registered with a Doctor – You need to supply your own health insurance through private heath insurance. Your health insurance provider will assist you in finding a doctor in your neighborhood. Be a savvy shopper – Get to know what locals pay for house hold items, clothing, furniture or airline tickets. The prices are often different for locals vs. westerners. Many people still believe all western people are rich and deserve to pay twice as much for what they want. Know what things cost and ask to the’ Local Pricing’ for things like airline tickets can save you a lot of money. The cost of living in Delhi and Mumbai have risen because of the increase in salaries over the past ten years. Most of the increases are in the housing market and housing prices and rents have gone up for properties that have higher quality standards or cleaner living conditions. Not all housing has the same quality standards so you need to take your time investigating a property and inspect it before signing a lease. You might also want to note that if you live in the city center or cleaner area, property owners will require 12 months’ rent up front. Including a security deposit unless your company is covering the lease. Food is very inexpensive and affordable as well as utilities expect to pay roughly around $115 mo. total utilizes for a household for two people. Dinning out is one of the best things to do in Delhi since you can find almost any cuisine for any budget. But be expected to pay the same prices as you would in the west for four star restaurants. Drinks in chique bars and clubs are also expensive and you will pay the normal cost as in the western cities between $8 -$12 for beer or wine. Taxis and public transportation are very cheap transportation options and highly recommended since travel by car is difficult to do in heavy traffic. The public train system is very modern and extensive though out Deli. It can be extremely crowded during peak times. India offers a variety of visas for residence and work. Visas are issued for visiting, work, research, study, business, projects or medical. It’s good to note that if you plan to work in India you must obtain an employment visa. You can apply for a visa to India in a few ways. You can apply at your local Indian Embassy in your country of residence or you can apply with the Indian government on their website. You can even use a third party visa processing company who will handle all of your paperwork and get your visa processed quickly. Keep in mind you are not permitted to enter India without a valid visa even for tourism. You must arrange for your visa and have it ready before you travel. Rest assured that all requests that are made via Intlmovers are absolutely obligation free. You may receive up to six quotes for your international move to Delhi. It’s completely up to you to take your time, review your options and make your own choice about your preferred moving company. If you do not feel satisfied with any offers you receive, you are under no obligation to select any at all.